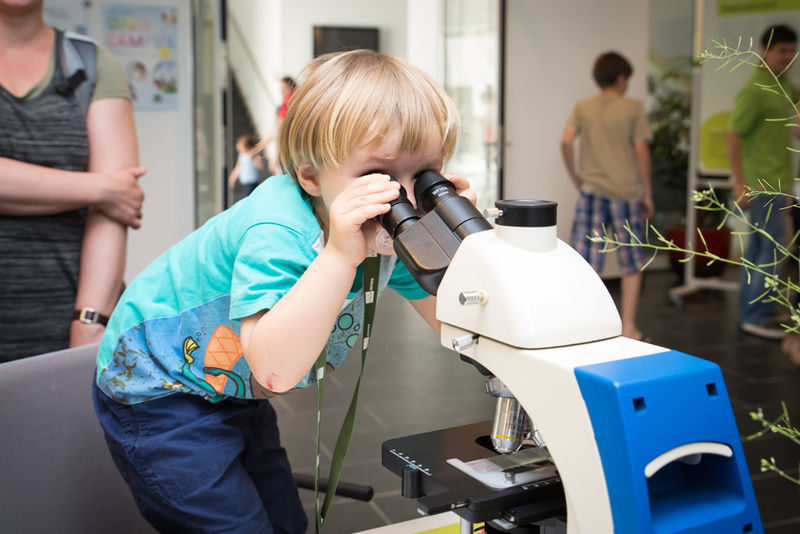 Our hands-on exhibition is all about basic research. The scientists and employees of IST Austria inform you about current research and recent scientific findings. There are four clusters for you to discover in an entertaining and challenging way. Evolution – Though undisputed in science, it still raises numerous questions. Models – They approach reality as mathematical maps. Cells – The building blocks of life are true all-rounders. Brain – A microcosm of hidden beauty with many unexplored secrets. School competition – Think it up! This year focuses on your abilities and the following questions: why are new inventions important? Why are new inventions usually based on old ones? What is an invention? The winners in three categories will be awarded at 13:00 in the Raiffeisen Lecture Hall. Later on, they will present their projects in the foyer! >> mehr! The Museum Gugging will be open from 13:00-18:00. Participate in their guided tours! Gugging personaly is a platform for a sparkling debate on the history, present and past of Art Brut. Both curators and art experts Christian Bauer and Günther Oberhollenzer show their personal favourites from Gugging art collection. Christian Bauer, the art director of the future National Art Gallery Lower Austria in Krems and Günther Oberhollenzer is the curator of this establishment, whose opening is planed for 2019.